Inevitability is horrible. All the omens for this game were bad. 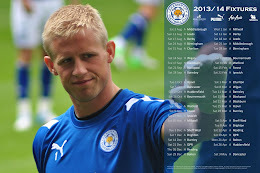 Going into this fixture, Leicester have not won six on the trot in twenty years, they'd scored just three goals in their last five meetings with the Posh and, more tellingly, Leicester were yet to concede within the last ten minutes of a game this season. So, it was never to be. Defeat against 'lowly' Peterborough was inevitable. 5,000 fans disappointed. 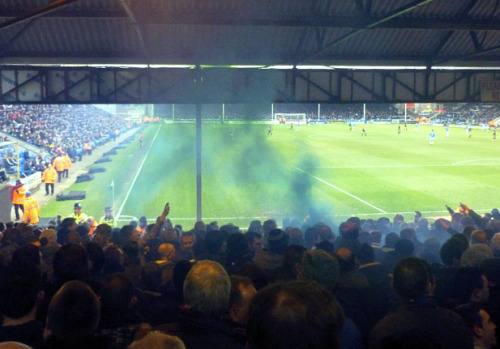 It was not just the 500 Foxes fans turned-away at the turnstiles who were disappointed at London Road (who oversells football tickets for terracing post-Hillsborough?). The 4,500 who made it into the ground left rather disgruntled, too. This was one of City's most lacklustre performances since Nigel Pearson's return and lacked fire, heart or ambition. It was too easy for a dire home side to break down the Foxes' predictable attacking play and with the defence half-asleep at times, too easy to bombard Kasper Schmeichel's goal. Two outstanding saves denied Peterborough extending their lead and he had a chance at the other end, too, when he ran forward to try and earn a last-gasp equaliser from a corner. Kasper Schmeichel was visibly the most stoked of the Leicester City players on a day where, it seemed, many thought they only had to turn up at London Road to earn a result. The noise, passion and ownership of the game shown by the Foxes travelling support was staggering. To be presented with such an opportunity - playing a side languishing at the foot of the table, bereft of hope - following the injury, whatever it is, to Chris Wood should have seen both Jamie Vardy and Martyn Waghorn really geared-up to play the Posh. Both had their chances, none more clear-cut that Waghorn's as City chased the game. He squandered an opportunity to earn back the respect of the Foxes' supporters with seconds remaining on the clock when he scooped the ball high over the crossbar from six yards. That was a shocker and only goes to show the frailty of Pearson's small squad. There is no strength in depth in the Foxes toothless attack. Great match, from my perspective. I don't know the reason why I can't subscribe to it. Is there anybody having similar RSS issues? assume you are an expert on this subject. Fine along with your permission allow me to clutch your feed to stay updated with coming near near post.